During her lifetime, Princess Grace of Monaco was committed to helping emerging artists realize their career goals. This year, two USC School of Cinematic Arts students, Chao Thao and Javier Barboza, joined the ranks of Princess Grace Foundation Award Winners and will continue her legacy of supporting young artists. Thao, a production division student at SCA, submitted a documentary which is a profile of the Hmong culture she was raised in, which is entering a critical transition period as a culture. The Princess Grace Foundation-USA is dedicated to identifying and assisting emerging talent in theater, dance and film by awarding grants in the form of scholarships, apprenticeships and fellowships. 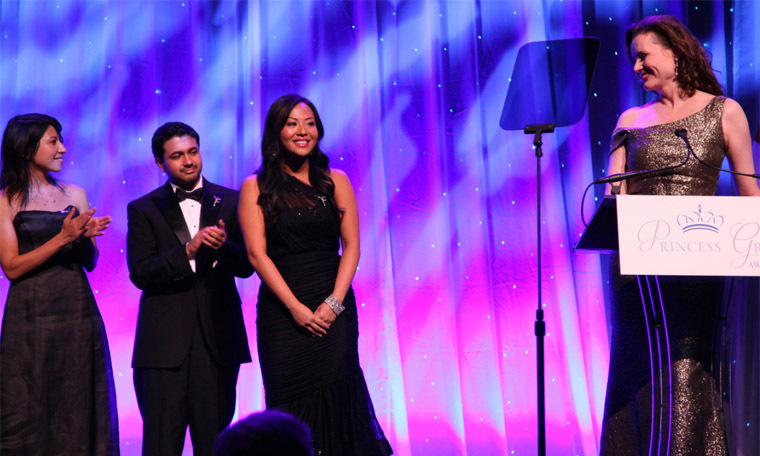 “It’s an amazing privilege to have received the 2012 Princess Grace Award ,” continued Thao. “I feel so incredibly honored to be a part of this group of artists. It’s a wonderful recognition for us as emerging artists. I come from a community where people don’t necessarily know what it means to be a filmmaker so there’s not a lot of support there. So it’s a wonderful feeling to be a part of the Princess Grace Foundation and to also be a part of the USC – SCA community. It truly feels like I have someone on the sidelines cheering me on."